a state or territory, or a family member. 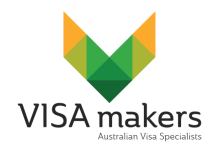 The visa is designed for skilled applicants who submitted an expression of interest (EoI) in Skillselect and received an invitation to apply for this visa. Subject to receiving an invitation to apply, you can make an application for an independent skilled points tested visa whether in or outside Australia. You must have had your skills assessed by the relevant assessing authority. You have the skills and qualifications for an occupation on the Medium and Long‑term Strategic Skills List. You must have applied for the visa in the stated time.